Fired up a machine that never had Netflix installed previously (W7 x64 Ultimate) and installed Netflix. 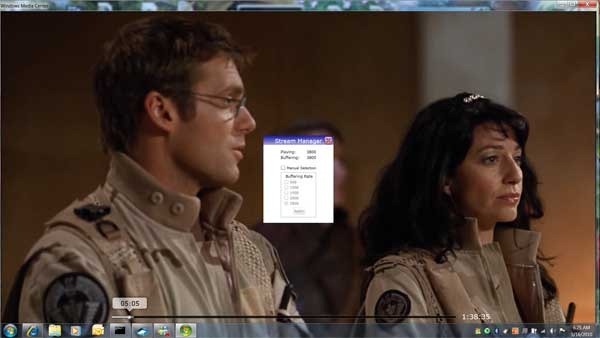 I’m streaming Stargate Continuum in HD 3800/3800 (screen shot below) over 802.11n 5GHz wireless to me 1920 x 1080 Sony “laptop”. No HD icon, but it is definitely HD. This entry was posted in Uncategorized and tagged Media Center, Netflix, Netflix HD, Windows 7, Windows Media Center. Bookmark the permalink.